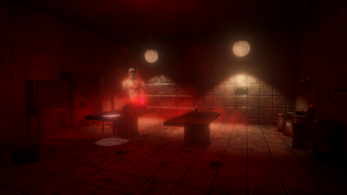 Justin Simmonds wakes up on the floor in an old rehabilitation isolated room. He can’t remember what happened or how he got there. All he knows is that he is currently being treated for the apparitions he’s been seeing and Doctor Theodore Mason has offered him a chance to be cured by undergoing a risky new treatment. In an unsettling and mysterious situation, Justin is determined to investigate what has happened to him and to do what he must to find answers. ******Please put on your headphones while playing this game! ******PS: Please post your YouTube videos on this page. We will select some fun ones to give them the free and early access to our full game in the future. Thank you! Looking forward to the full game, the demo was a lot of fun. well this game is a mad house. Such a great demo. Please , please say this is going to become a full game. I recorded a playthough to help with dev. Definitely! I'll remind you once we have it. Thank you for playing. Just got this up! Fun game so far! I'd love to see the story fleshed out, but overall, nice graphics and atmosphere! Looking forward to a full release! Great video! And yes! The name inspired by The Shinning! lol Thank you for playing! So I recorded this late at night and everyone in my household was asleep so I had to talk very quietly Really think this game has great potential thought it was very creepy. Twas fun! glad i was able to try this game out!! We're not crazy! YOU'RE crazy! The Lunatic tests our mental fortitude and makes us think we're crazy! We're not....right? You didn't check the isolation room which is the best part! Thank you for playing! I liked the design of the ghosts, gameplay seems good, story is interesting. I just had a little issue where I got stuck in the lamp, but thats easily overlooked since I have a penchant for doing that. Good job on the demo, looking forward to the full release! 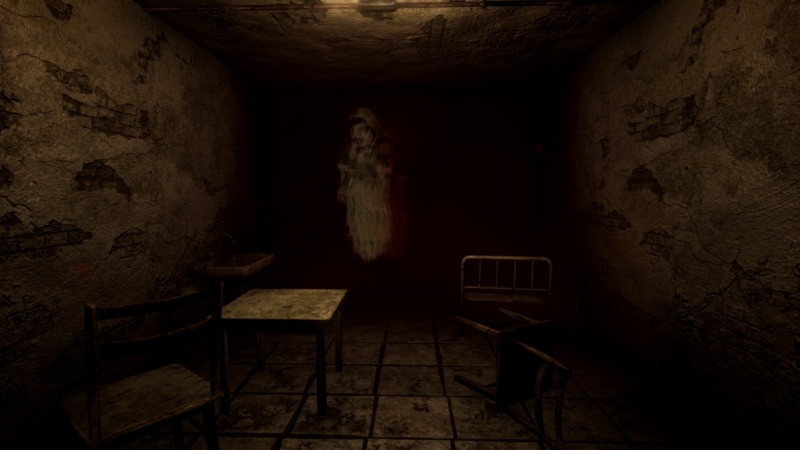 It works well by successfully building tension, and using sprites to represent apparitions was a nice touch. It gives them this "unreal" quality. My only real gripe is that one screamer. The voice saying all that stuff to the player was creepy, but the jumpscare directly after was just funny with how obviously placed it was, and ruined the feeling of dread that had been building, as well as any immersion. 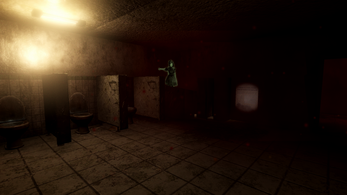 Still, only a single gripe is really good for any game, much more so for a horror game. Looking forward to seeing what else you guys come up with. Amazing game, I had a lot of fun with it! No problem! Thanks for making the game! Looking forward to the full release! So I had fun playing this I really hope you guys finish I know it took yall 7 weeks for this! but it looks so scary, the ambiance, laughs, I got so much chills and crap Im in a well lit room and get so terrified at these types of games! thank you so much for making this and I cant wait to hear more from you! Thank you for playing!!! Great video! You didn't check the open isolation room there is a surprise in that room could help you. check it out! After try the trial, This game is really scary. What do you think? it is worth to buy the full game? Like others have said good potential. It has an atmosphere to it the game worked properly and the voice acting was good. One issue is I didn't feel much tension while going through the environments after awhile I had no way to lose so I had no reason to feel scared. I would add a timer in the room with the puzzle in which you could fail or do something to build tension. I felt like I was in no rush. It has more going for it than the average hacked together indie horror. I found myself curious as to what would happen next and wasn't able to see the plot a mile away. The bathroom area was kind of frustrating for me. I knew I had to find something but spamming the mouse button on the toilets didn't give me any sort of direction as to whether I was on the right track. I had to click too many times to find what it was I needed. In the morgue the puzzle was slightly confusing and I had to use an educated guess to find out what the last item count was supposed to be. The first to where easy enough but It wasn't clear what I was supposed to be looking for on the last one. I was expecting to get jumpscared at least once but It didn't happen. But as a whole I did like it. I know how much time and effort games take. So I respect the effort and look forward to see what you create. This is a great feedback. Definitely helpful! Thank you so much. It ended just as I was getting into it! There's a lot of potential here! The use of 2d sprites for the ghosts is a neat idea that I don't think I've seen before, so that's really cool! Good luck with the full release! fun video! Thank you for playing. Bro that game is really nice but not that much scary, hope to see more and more. It really puts in the creep factor, though I'd suggest putting in the time to make 3d models instead of relying on the 2d models. Beyond that, good job. This game is very interesting! I love the concept of waking up in the mental asylum and trying to find out what’s going on as they try to escape. Plus, the apparitions, such as Daisy and Daisy’s father, are unique as they both look different from each other, yet they add more mystery to the game as to how Justin knew them. Thank you for making this game! I love to play the full version soon! when you said needle that was hilarious. Thank you for playing! Thank you! Half & half. Some people liked 2D characters since they are unique. We will use both 2D & 3D characters in the final version. I was just starting to get into this story and, then it said it was the demo! It was a good stopping point though and, you got a lot of the story up until the end. Some of the areas were a bit too dark maybe it was just the settings I was playing at was hard to navigate a couple areas but, it did add to the ambience of the game.